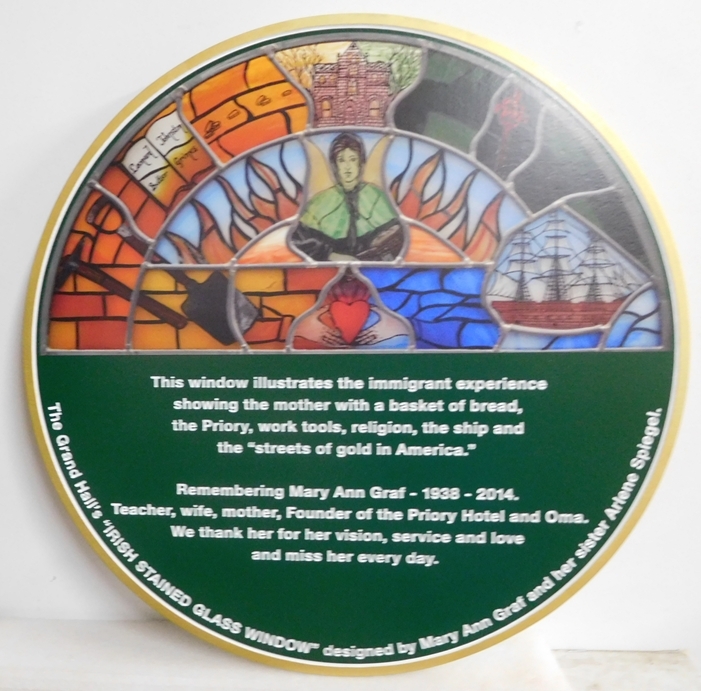 Above is shown a carved HDU memorial plaque "Irish Stained Glass Window" for the Priory Hotel. This beautiful carved wall plaque features engraved text , border, "leaded glass" style artwork, and a smooth green background. The sign is hand-painted and then clear-coated twice. This sign can be mounted on an outside wall, hung from a wrought iron scroll bracket or wood beam, or placed between two posts.